It's just around the corner - 9/14-9/16. who else is going?? guess what the theme is this year! I might actually go this year, I think my last hemp fest was 1998. I'll head on down for a bit, for sure. Don't call me a Moron if I show upthere some how. Uncle Stoner's squash-off is happening all 3 days, anyone can bring a sample and have it squashed & entered in the contest, I think it was only 1/4 ounce last year. cannabis education village is expanded this year and right next to the Parkman Bandstand. Looks like Weedmaps & Advanced Nutrients will have 21+ lounges. Only 3 days away! 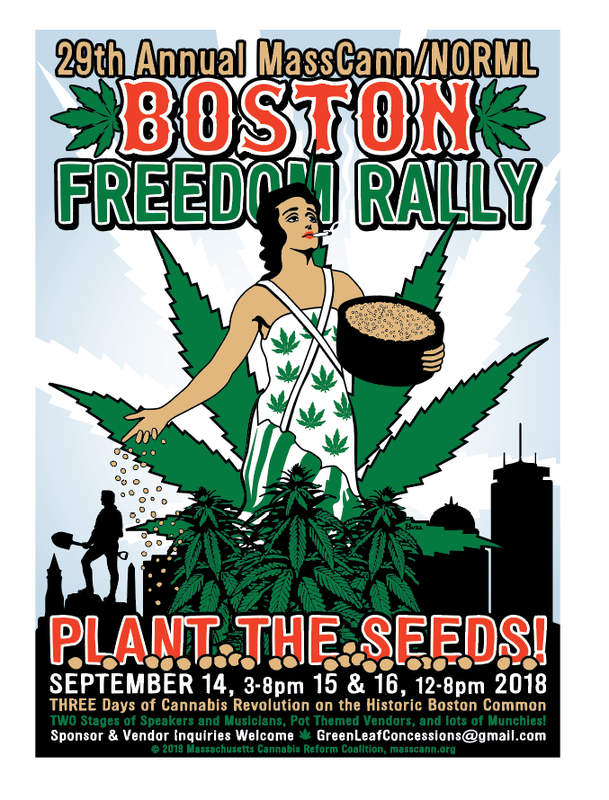 Six times the city of Boston has tried to break the Freedom Rally....six times Masscann has gone to court and prevailed. Mendo Dope comes on at 4 Saturday and then a free growing seminar at 7PM at the NEVA veterans lounge. getting my game ready. 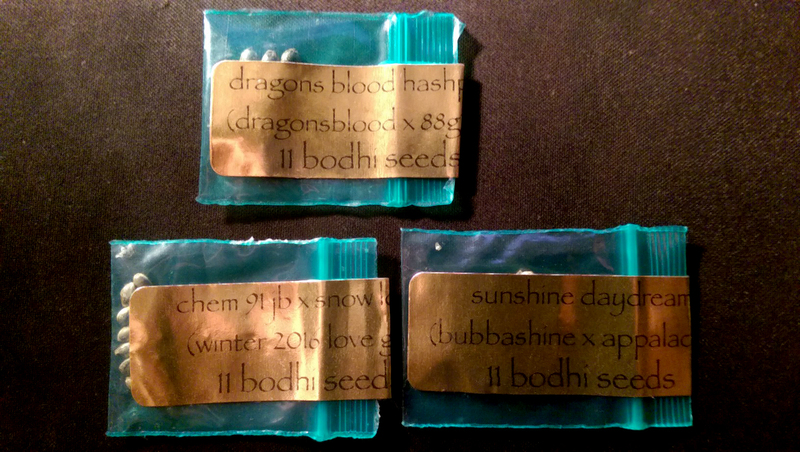 who wants some of these seeds? Quite a few seed vendors set up, including Jinxproof (manned by Jinx himself), Mosca, and some very nice folks from Maine's Honest Herb Co. Couple seed banks as well, but the guys manning those aren't nearly as fun to talk to. @Muleskinner I’d love some seeds but Boston is a wee bit of a drive from me. Sounds like an awesome time. Maybe one day we’ll get there. I may try to hook a ride with the Mule tomorrow as well. Not sure how the day is going to unfold yet. I just found out I'll be going on Sunday, this will be the first time I've made it to one. Made it for a couple of hours today. That was a good event, will be planning to visit this next year. Didn't find The Maine Honest Herb guys but did manage to spend all my cash on-hand on some Bohdi gear ... in about ten minutes. Went yesterday afternoon with @Muleskinner. Met @Northern_Loki. What a gentleman. He made some stickers and one has a home already.